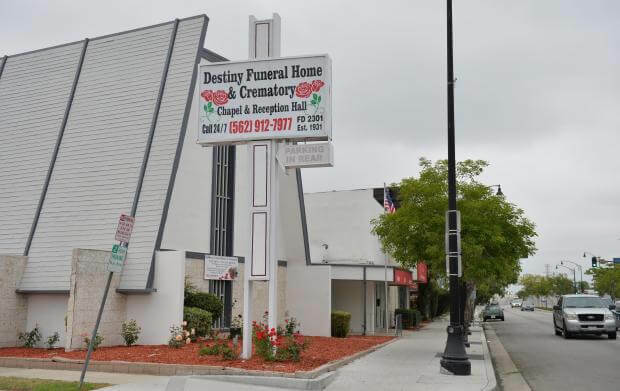 Whether looking for affordable Funeral Options or Cremation Services, Destiny Funeral Home & Crematory is your local funeral home located near North Long Beach CA and can service and cater to the families in the surrounding communities such as Buena Park and Bixby Knolls CA. While there may be other reputable Funeral Homes in North Long Beach CA serving families, Destiny Funeral Home & Crematory is there for you and stands by you every step of the way to ensure we give your loved one an honorable Funeral Service. Click for information about Cremation Services in North Long Beach CA. While most servicesare held in the morning or afternoon, some families are now choosing to haveservices held in the evening hours for the convenience of family and friends.This enables more people to attend the service who otherwise might be unable tobe excused from their place of employment during the day.